Learn about free health lectures, news & more. 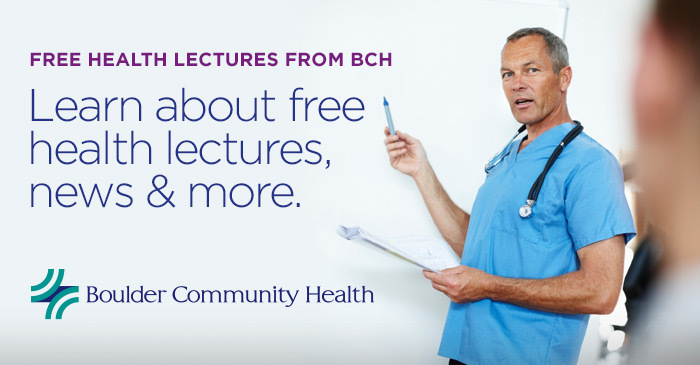 If you're interested in receiving emails from BCH pertaining to a range of health-related topics — including invitations to free lectures, health screenings and the like — fill out the form below. You can expect to regularly receive emails discussing upcoming health lectures, new cutting-edge treatments, new doctors in the area, updates on pressing health concerns in the Boulder Valley and more. You're welcome to unsubscribe at any time by clicking on the SafeUnsubscribe button at the bottom of all our emails. As always, thanks for your interest in Boulder Community Health!